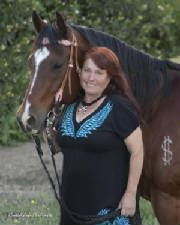 "I had the pleasure of attending my first JD Equine clinic in Murrieta, California in 2009. When arriving, I was greeted by Deborah and felt welcomed. Even though I was unable to bring my horse and was there to audit, John and Deborah still made me feel a part of the group by involving me in every aspect of the clinic. I was impressed on how they took their time with each client. No matter if it was the horse and/or rider they were able to assess both and offered their expertise on how to deal with the situation at hand. I left that day wanting to learn more from them and vowed that my horse and I would someday attend a clinic and learn more about horsemanship and cowboy racing! And so I did. After having ridden in three clinics my impression hasn't changed. John and Deborah are knowledgable, patient with horses and riders no matter what the age, supportive, encouraging, humble and funny! They are a pleasure to know and ride with and are great people!" 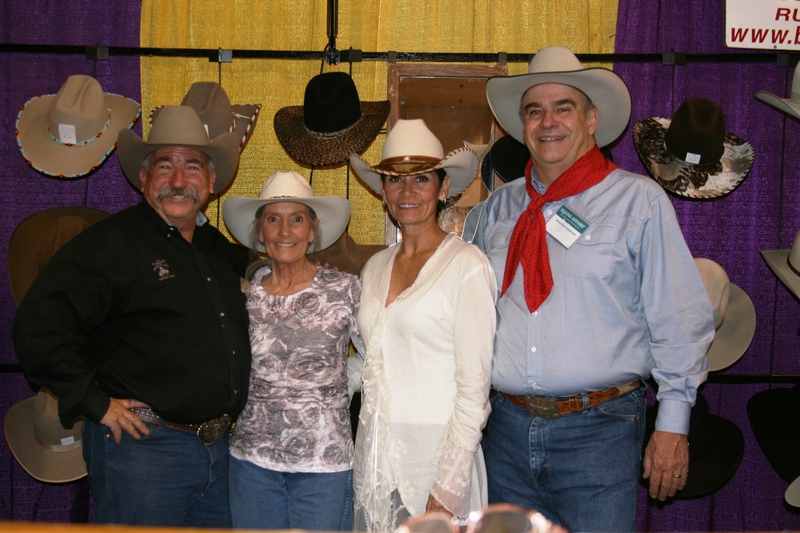 "We have had the honor of attending several of John and Deborah's clinics and hosted one at our ranch. They are truly gifted at taking a diverse group from beginners to trainers and at the end of the day all horses and riders are improved and encouraged. They teach horsemanship through communication and understanding, making the experience a pleasure for both horse and rider. We look forward to hosting more clinics in the near future." Jeff and I were reflecting on the past year, thinking about all the challenges we have faced starting our new horsemanship club and opening our ranch. Also, all the acievements we have made and as we talked about it we both felt strongly that we should write and tell you and John at JDEE how much we want to thank you because we realize that the clinics you held here for us were the single most important thing we could have done here to get our club off the ground with a good start. It is so important (if you want to succeed and want your people to succeed), that you begin with the proper guidance from people who truly believe in what they are doing. There are so many reasons to thank you it's hard to know where to begin. All the wonderful gifts of knowledge you have given us through your training and patience are the biggest reason for my personal success at horsemanship and also that of my entire club. Your dedication and passion is unmatchable and your abilities to convey your knowledge to both adults and children is amazing to me. 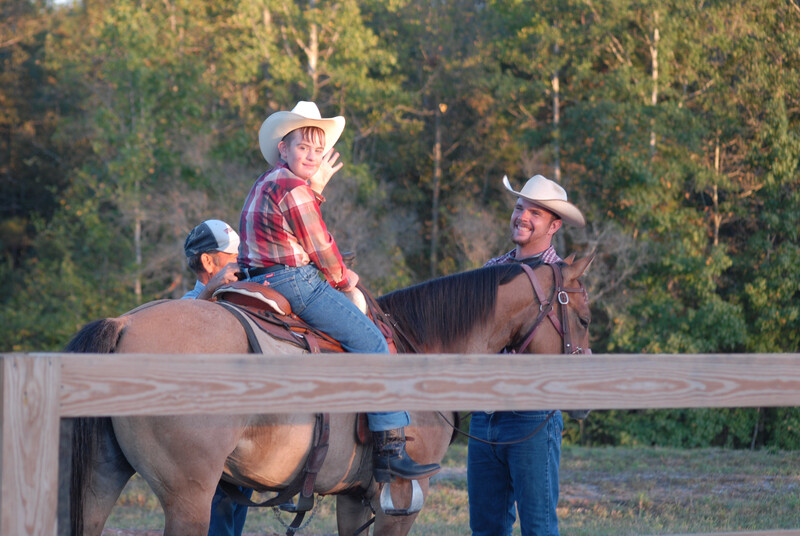 As you know, my youth group is very important to me and what drives me to expand Natural Horsemanship training. I had attended one of your clinics in Louisiana and by the end of the first day. I knew I had to invite you to hold a clinic at our ranch because I knew you could help all our members but especially our youth. I cannot say enough for the improvements you have made in my youth group. Some of my members and I have been riding for at least 20 years but never had we truly understood, enjoyed and known our horses until we experienced your clinics and your guidance. It is this true understanding and bonding with your horse that I want my youth to feel and know as it will be the future of great horsemanship for them and what will hopefully share with other kids behind them. 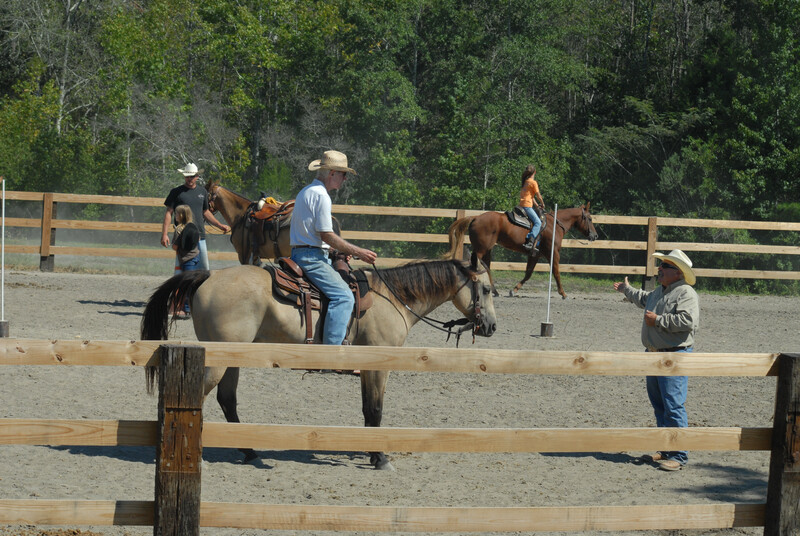 I remember when I first approached my club about hosting a clinic when I returned from Louisiana and I got the standard "I've been riding 20 years, and I've been to these clinics before, all they do is rattle out a bunch of instruction to you for hours on end and by the time you get to ride your horse you can't remember any of it" answer". I laugh about it now because until I attended your clinic in Louisiana, I have to admit I kind of felt the same way. I assured them that John and Deborah of JDEE are different, "I promise, I said, You will learn". 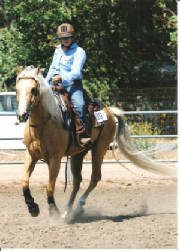 My club had many different riders from all different disciplines and we had many different problems with our horsemanship. So I hosted the first clinic, hoping I would fill those spots and ensuring that at least my youth were there, my husband and I even sponsored some of the members because we knew it would be worth it. AND IT HAS BEEN! We have learned so much individually and as a group. And we improved noticeably with each individual clinic you held for us. Sometimes when we all ride together we laugh about how we used to ride and how we must have looked to ya'll when you held your first clinic here, a bunch of misfits flopping around on our horses. We all call it Pre JDEE and we remind each other of how far we have come with you and John guiding us in our desire to be the best we can WITH our horse and not just ON our horse. We are all addicted to learning more now and looking forward to our next clinic and learning adventure with You and John. One of the best things of all as we look back at this past year is how close we have all become and how much fun we all have when ya'll are here and looking forward to all the memories we will make with this next year. We are all so excited to plan the clinics for this year and see what new things ya'll will teach us, knowing that each time you leave we are better. We can't Thank You enough for everything and we are looking so forward to seeing ya'll again. "I attended my first clinic given by John and Deborah in 2010. I have participated in several equine clinics over the past 8 years and none of them measure up to what John and Deborah taught me in that one day. There were about 15 riders in the clinic, some had more experience than others, but John and Deborah were able to help us all. The individual attention I received was amazing, and not something I was used to for a group clinic. I walked away that day learning more than I had ever taken away at any one particular clinic I have ever been to, including the 4 years I spent training and volunteering with the local mounted law enforcement. John was the first person who ever pointed out to me that I wasn't sitting centered in my saddle and that my hands were to high. He concentrated on my riding skills and ability to make me a better rider. None of the other clinics I attended concentrated on my riding ability. 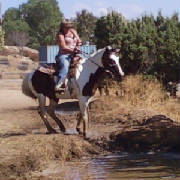 They were more concerned about my horses learning ability and how to correct my horse when she didn't do what I wanted. Not what I was doing wrong or how I was giving her the wrong ques. 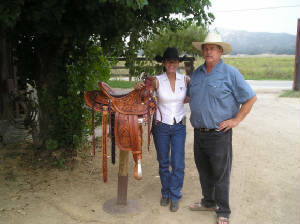 By the time the next clinic rolled into my area, Acton, Ca., I was unable to ride due to pregnancy, but that didn't stop me from auditing and enrolling my Husband, Brian and daughter Hailey in their class. Both are novice riders and I was so excited about watching them learn and grow from the clinic. 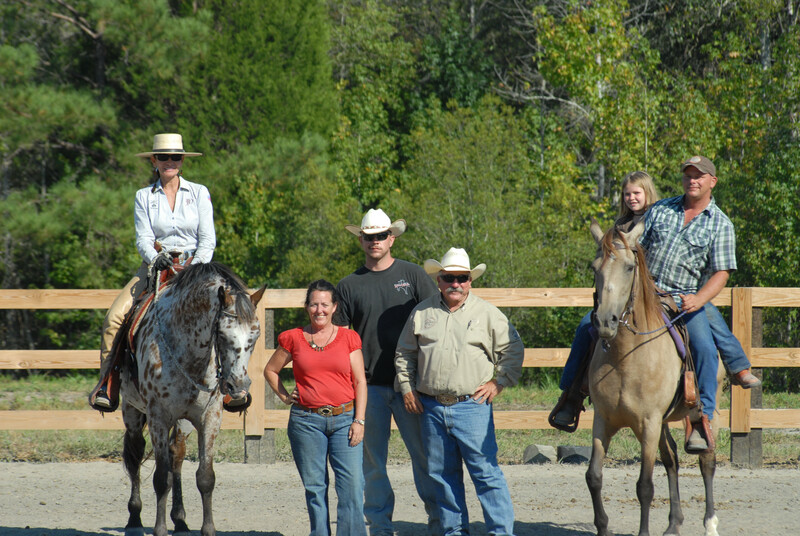 My husband was riding a VERY green horse and Deborah pulled Brian aside and worked with him as John continued to instruct the rest of the group. John never forgot about Brian working on the side with Deborah and would periodically check in to see how he was doing. My 10-year-old daughter, who has a rather short attention span, and never attended any clinics, never lost interest. She was the ONLY child in the clinic among a diverse group of adults and she walked away learning so much, she decided she was going to enter the next EXCA race. So that's what she did! Hailey had never competed before, and as it ended up, the next race that came up happened to be the EXCA National Finals! Hailey gained so much confidence in her first clinic; she was able to compete and walk away with the Reserve Champion Buckle and was one of seventeen invited to attend the EXCA world championships. Unfortunately we were not able to attend due to the upcoming arrival of our new daughter, Taylor. As for my auditing, I was able to see and learn from the ground and help both Brian and Hailey, by coaching them at home. John and Deborah are both talented, honest, knowledgeable people whom I have had the honor of learning from. I would highly recommend them to anyone wanting to better their horsemanship, no matter how long or short they have been riding. Thank you John and Deborah for everything you have taught my family and myself!" From my heart, I want to thank you both for giving me the opportunity to take part in your clinics. For me they were life changing. 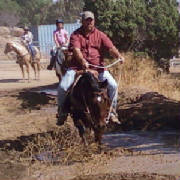 Seriously, I started riding horses at 55 years, and had a lot to learn. 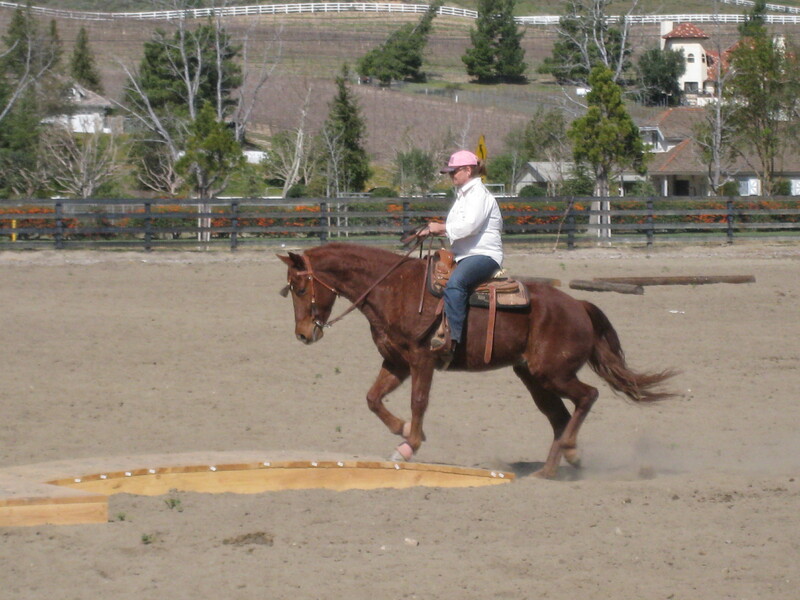 From many of my friends and other horse trainers and riders I have gotten most of the basics. 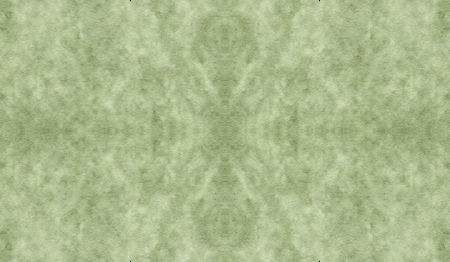 But honestly, most seemed to be just trying to keep me out of harms way, almost holding me back, keeping me swaddled. From your clinics what I got was confidence and the opportunity to realize I can do things I only dreamt I'd ever do, and still keeping me safe. What seems so simple now, was mountains before your clinic. 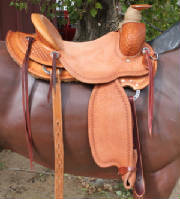 I look forward to this new season, so I can cowgirl up a little more. Thank you both for giving me the confidence, for making me try without making me feel forced. You both have magic that you pass on to your riders, I'm glad to be one of them. I have spent my life loving and riding horses. A few years ago, I suffered a tremendous set back. I was injured and lost my confidence. My passion and love remained true, but I was scared, actually frightened to my very core. I have attended clinics and worked with trainers, but I was too embarrassed and unable to make any progress. After meeting John Black and Deborah Abajian. I decided to try again. I found JDEE to be such a comfortable, relaxed environment that I did not feel embarrassed. I was able to start that long road to recovery. I will never be able to express in words the gratitude that I feel for both of you. I am RIDING again and not just sitting on my horse, hoping nothing happens. I was able to begin to compete again and my confidence is catching up to my passion!!! Thank you for putting horsemanship first and being so patient, supportive, encouraging and just good down to earth people! I am a better person for having met you both!! I highly recommend your training and clinics. YOU CHANGED MY LIFE FOR THE BETTER!!! THANK YOU!!! My experience with Deborah and John has been wonderful. I have attended their clinics and had a private lesson. Everytime I leave I feel so good about my horse "Peppy" and myself. 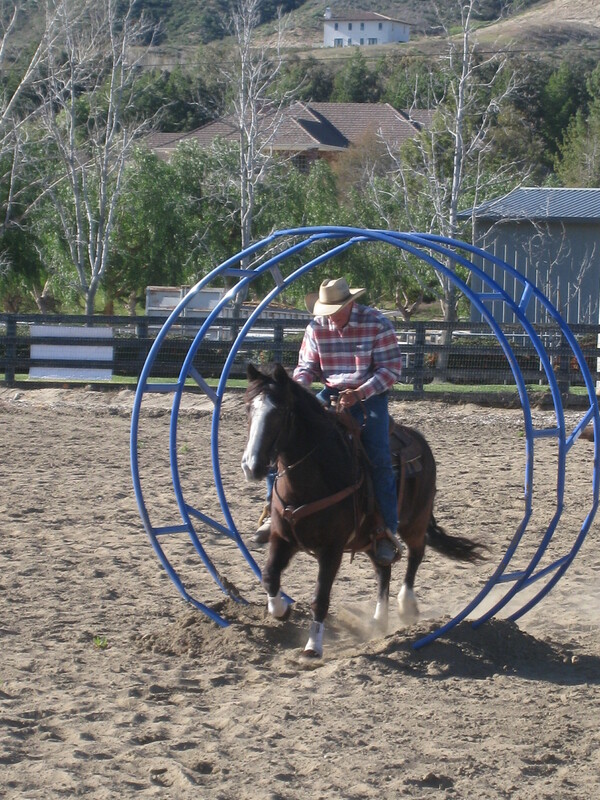 They spend quality time with each rider and their horse. They are extremely knowledgable and encouraging not to forget "FUN". I am looking forward to my next experience with them.